Getting Close to the End of this Summer’s Juggling for Jude, with a HUGE Effort on the East Coast! I’m almost done blogging about Juggling for Jude 2015, but there is still a little more work to be done. 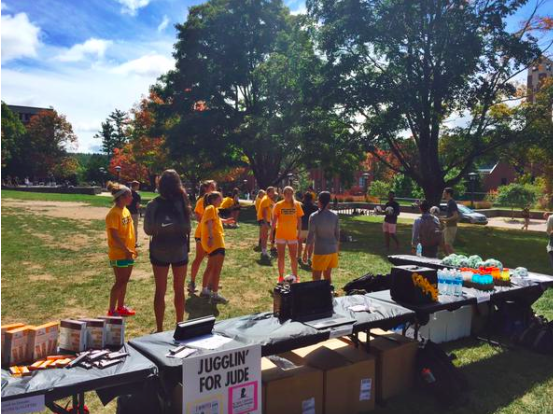 We are almost at $30,000 for the kids at St. Jude, and on Wednesday the Appalachian State Women’s Soccer Team spearheaded an entire Juggling for Jude event on campus. I met Head Coach Sarah Strickland this summer at the Julie Foudy Sports Leadership Academy, and she thought Juggling for Jude was so great that she wanted to help out! Special thanks to Sarah and Alyne Moore, who was the man behind this great event! 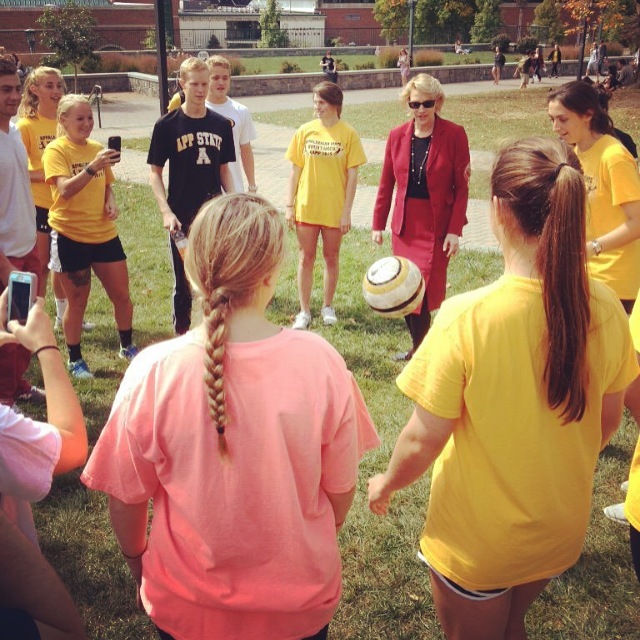 Here are some photos of the App State Juggling for Jude event. 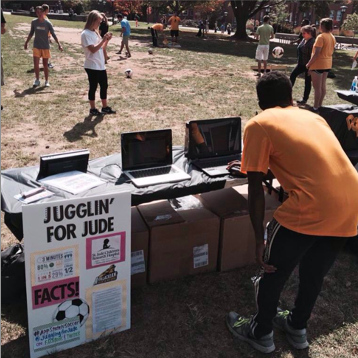 I can’t believe students all the way in North Carolina were Juggling for Jude and collecting donations! I can’t wait to hear how much money they raised! My summer goal is $40,000, so that would mean a whole lot of donations would have to come in between now and the end of September, which is Childhood Cancer Awareness Month. I’m not giving up hope just yet! Please DONATE if you can and remember every dollar helps a kid with cancer and helps the scientists at St. Jude find cures for cancer. Please tell your friends! Previous postA Little Help from Friends/Teammates to Raise more Money for the Kids at St. Jude! Next postBefore the Final Tally Announcement for 2015, Check out Some Great Reasons to Support St. Jude!